What could be better than combining two favourites, chili and mac and cheese? 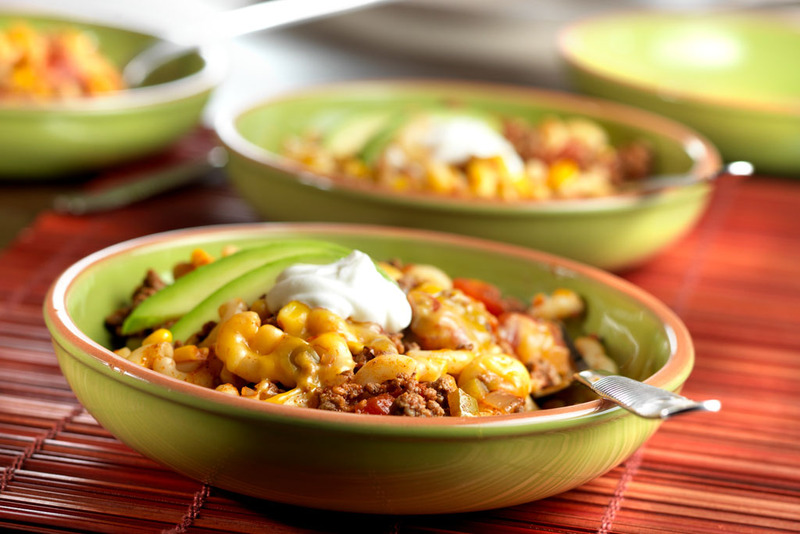 This one pan mac and cheese gets kicked up with Pace® Chunky Salsa, ground beef, corn and chili powder. The pasta cooks with the beef and the salsa mixture, so cleanup is easy. Cook the beef in a 10-inch skillet over medium-high heat until well browned, stirring often to separate meat. Pour off any fat. Stir in chili powder and cook for 1 minute. 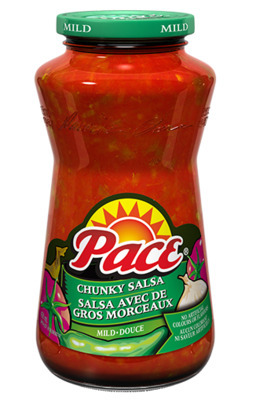 Stir in the salsa, water, corn and uncooked macaroni in the skillet and heat to a boil. Cook for 8 minutes or until the macaroni is tender, stirring occasionally.